Millions of Australians are still reeling from the footage we saw on Monday 25th July’s 4Corners report on the treatment of children at the Don Dale Youth Detention Centre in the Northern Territory. Like all Australians, I am deeply shocked and appalled by the images of mistreatment of children at the Don Dale Juvenile Detention Centre. My Government will establish a Royal Commission into the events at the Detention Centre jointly with the Northern Territory Government. We will get to the bottom of what happened here, how this came about and what lessons can be learned from it. We want to know why there were inquiries in to this centre which did not turn up the evidence that has come to light. This needs a thorough inquiry and it needs to expose what occurred and why it remained unrevealed for so long. Here at CEFA we thought it was important to examine the processes that will now occur and the Constitutional guidance for them. It wasn’t until 1978 that the Northern Territory was granted self-government through Federal legislation. The Northern Territory (Self-Government) Act 1978 has some limitations including the provision for a disallowance of Territory laws by the Governor-General, and the acquisition of Territory lands by the Commonwealth without compensation. Since the 4Corners report there have been calls from many sources for the Northern Territory government to be sacked. Because the Government is set up similarly to a local governments in a state (existing through legislation), the Parliament could scrap or amend that legislation. However, Acting Opposition Leader Tanya Plibersek said it was a "big call" to say a state or territory can't govern even after a "catastrophic" failure like this. In any case, an election will be held in the Northern Territory in less than a month and the electorate will have the opportunity to “sack” the government if they so choose. Are the Federal Government and the NT Government “jointly running” the Royal Commission? Last night on ABC’s 7.30 the NT Chief Minister stated that his government is jointly running the Royal Commission with the Federal Government. Perhaps he means that the two Governments have worked together to set up the Royal Commission? It has been reported that the NT Government helped choose a Royal Commissioner and set the terms of reference of the inquiry. However the Royal Commission will now complete its work independently of either Government. Royal Commissions don’t make findings to please governments. Around the states during the 1980s and 1990s there was a spate of royal commissions into corruption and maladministration (banks, WA Inc, police). These did great damage to incumbent governments and have made all governments less enthusiastic about their use. Yesterday the Attorney-General George Brandis appointed former NT Supreme Court Chief Justice Brian Martin to head the Royal Commission. You can read the Letters Patent which outlines the terms of reference and the requirement for the inquiry to start as soon as practicable, be conducted expeditiously and report no later than 31 March 2017. One of the things the royal commission will inquire into is whether the treatment of children detained in youth detention facilities administered by the Northern Territory Government may be contrary to human rights embodied in Australian or Territory law or recognised by an international instrument. What this means is the commission will look into whether the treatment of these children has breached any treaties or conventions that Australia has signed. When the six colonies joined together at Federation in 1901, they gave some of their powers to the new Federal Parliament. There are 39 subsections in section 51 of the Constitution which are the powers surrendered by the colonies to the Federal Government. What it means for this specific section is that the Federal Parliament has the power to ratify international treaties such as those from the UN and then these treaties also apply to the States and Territories. The Convention on the Rights of the Child (CRC) which Australia ratified in December 1990. The Convention against Torture and Other Cruel, Inhuman or Degrading Treatment of Punishment (CAT) which we ratified in June 1987. States are responsible for violations of this sort, but if they do react properly then their international responsibility is not engaged, or at least it's improved. We need to know … that everyone that participated in it, including those that may have covered it up, have been appropriately punished, reparations have been offered and paid to victims … all these things are part of Australia's international obligations. NT youth justice laws effectively made what the guards had done legal, and that under the UN Convention against Torture and Other Cruel, Inhuman or Degrading Treatment or Punishment, something that was legal was not torture. The Youth Justice Act basically makes what you saw on Four Corners legal. People are throwing the word torture around. Under Article 3 of the UN Convention against torture, things are not torture if they are legal. We’ll have to wait and see what the Royal Commission finds in regards to this treaty. The other treaty mentioned above, the Convention of the Rights of the Child requires States to take all appropriated measures to protect children from abuse. According to the DFAT website Australia has ratified 348 International Treaties since Federation in 1901. As such there may be other treaties that the Royal Commission could examine. The treatment of youth accused or charged with a crime. Innocent until proven guilty is one of the most important aspects to the rule of law principles that underlie our justice system. It has been reported this week that 70% of the children held in Don Dale detention centre are on remand. Meaning that they haven't actually been sentenced to the detention centre, but are being held before a court has heard their case. The Royal Commission may look into why the number of children on remand is so high. Although this is not specifically outlined in the terms of reference the Commission can inquire into matter reasonably incidental to the terms of reference. Could the corrections officers be held legally accountable for their conduct? This is a question that has been asked by many in recent days. But the Northern Territory’s Youth Justice Act may prevent this. The person is not civilly or criminally liable for an act done or omitted to be done by the person in good faith in the exercise or purported exercise of a power, or the performance or purported performance of a function, under this Act. In fact, guards have been charged and acquitted of aggravated assault on one of the boys shown in the 4Corners report. The assault was found to be lawful. 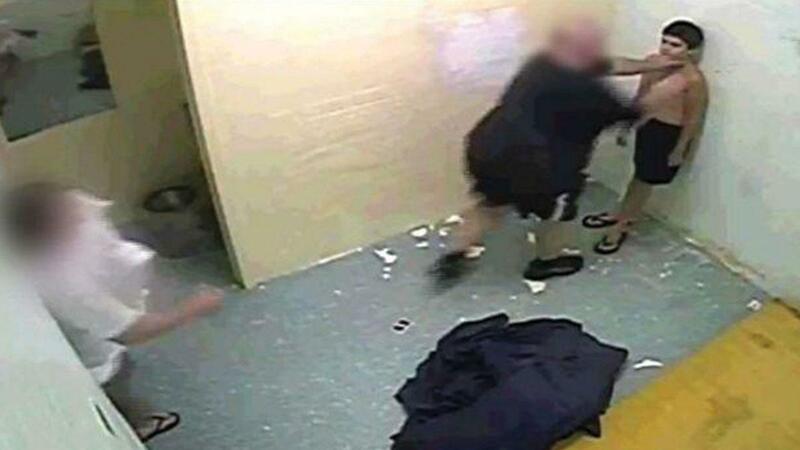 In 2011, Voller pressed charges against a Don Dale prison officer whom he claimed “unlawfully assaulted” him when he was aged 13. Court documents showed those in charge of the investigation tried to get CCTV footage of the alleged assault but were told it “had supposedly been lost”. Footage was eventually found, and a hearing commenced in December 2013 after numerous delays. The officer was found not guilty of aggravated assault charges. So while the Royal Commission is going to examine whether the treatment of these children is in breach of laws in the Northern Territory, the courts have already found that the assault of at least one of these children in the footage that we saw on 4corners is in fact legal. Fortunately the Royal Commission will also make recommendations of law reform to prevent the inappropriate treatment of children detained in youth detention. Should we be making some changes quickly? We’ll have to wait and see what the Royal Commission will discover. In the meantime it has been reported that the NT Government is looking for a way to close the Don Dale Youth Detention Centre soon. They’ve mentioned reopening the Wickham Point Immigration Centre to hold the youth detainees.